First symptoms of depression often occur during teenage years, and it can be a disturbing and confusing time for families as well as the teenager themselves. How can you tell whether it is just typical teenage ups and downs that will pass, or something more serious? How can we reliably identify and support teenagers with depression? In this book experienced clinician and researcher Gordon Parker explains how to systematically identify different mood disorders and contributing factors. He and co-author Kerrie Eyers explain when clinical treatment is required and outline treatment options. They also discuss the particular challenges faced by adolescents and approaches to effective management. 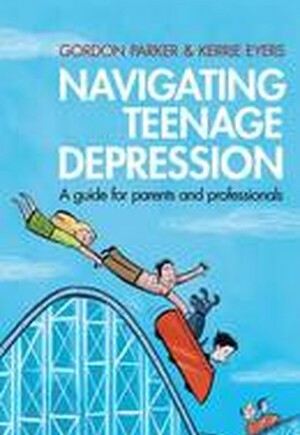 Drawing on insightful personal accounts from teenagers and young adults about their experiences, and based on extensive clinical research, this is essential reading for every parent, carer or professional looking after a young person with depression. Preface. Navigating the Maze: Three Stories of Teenage Depression. Background Stresses: Teenagers Shoulder Some Heavy Baggage. What Depression Feels Like: Young People Describe its Effects. Getting to Assessment: Some Ways to Overcome Teenage Reluctance. Making the Diagnosis: Guidelines for a Systematic Approach. The Assessment Report: And How Teenagers Adjust to the Diagnosis. A Quick Look at Treatment and Management: And the Impact of Personality Style. Maintaining Good Mental Health: Tips from Teens and Their Supporters. Appendix I: Examining the Use and Effectiveness of Antidepressants in Teens. Appendix II: Assessing the Risk of Harm in Teenagers with Depression. Appendix III: Teenagers Share their Most Effective Wellbeing Strategies. Appendix IV: The Mood Assessment Program (MAP).